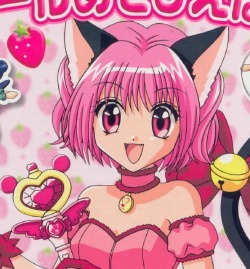 Re: your favorite mew mew! My favourite mew mew is renee because she is so smart and awsome!!!!! yeah renee is asome with her power i think she's like the strongest in the team with her wepon its weird cause shes the only one in the team with long hair! ICHIGO IS THE BEST! SHE ROCKS! I LOVE CATS, AND SHE'S A CAT, AND SHE'S FUNNY, COOL, AND CLUMSY, WHICH MAKES HERE COOLER. DON'T KNOW WHY. YAY, ICHIGOOOOOOOOOOOOOOOOOOOOOOOOOOOOOOO!!!!!!!!!!!!!!!!!!!!!!!!!!!!!!!!!!!!!!!!!!!!!!! OOPS. SORRY. search neco mimi they are cat ears that people wear and they move !